TBR DEBUT – Reutimann will make his debut with TBR this weekend. The Zephyrhills, Fla., native is sharing the 2012 NSCS schedule with Danica Patrick. Patrick is running 10 races including last week’s Daytona 500. Reutimann will compete in the other 26 events this season. BIRTHDAY BOY – Reutimann will turn 42 on Friday, March 2 and celebrate his birthday with NSCS practice at PIR. 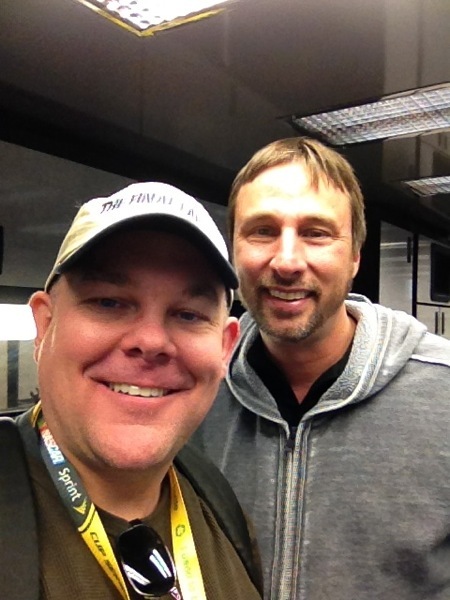 REUTIMANN AT PHOENIX – The 41-year-old racer will make his 10th start at PIR. Reutimann compiled three top-10 finishes and has an average finish of 19.4. His best start was sixth in 2010 while driving for Michael Waltrip Racing (MWR). He tallied his best finish of seventh in the fall event last season also with MWR. We wish David a happy birthday, discuss Phoenix, driving for multiple race teams, his racing father and more.